I decided to update you guys at this point as I have just left the car with my mechanic today for a job that I hope will solve my two big issues. I also decided to make a new thread because I have been following these issues on multiple threads here and over at PriusChat. It is much easier to just make a thread here and one there and update them as needed. The weird noise that sounds like the engine misfiring / cold start shudders but more muted. This started happening right after my head gasket job back at 375k miles. I've been living with it since and it's been driving me up the wall. My mechanic felt it was the transmission because that's where the noise seems to be coming from. After constant research at PriusChat, I ran into a few people who mentioned the same exact problem. They also mentioned my second issue below as well. Someone felt it was the transmission as well, but most felt it had to do with the EGR system. My mechanic didn't agree. 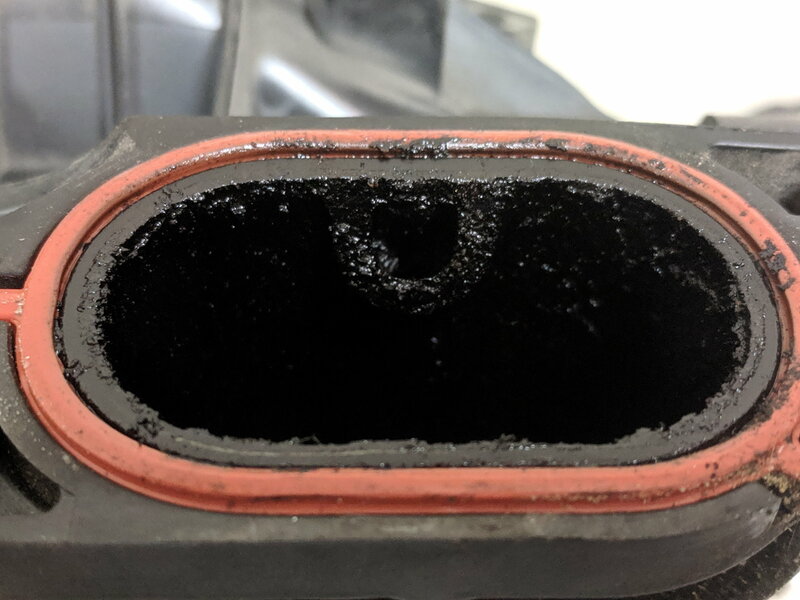 After showing him the TSB and some other info, he looked up the system and the intake manifold, and told me that Toyota doesn't use an EGR system that could do this at all, EXCEPT it seems for the Prius family. He said this is a common Honda problem, and it's not a good design. It seems Toyota uses it here and so here we are. 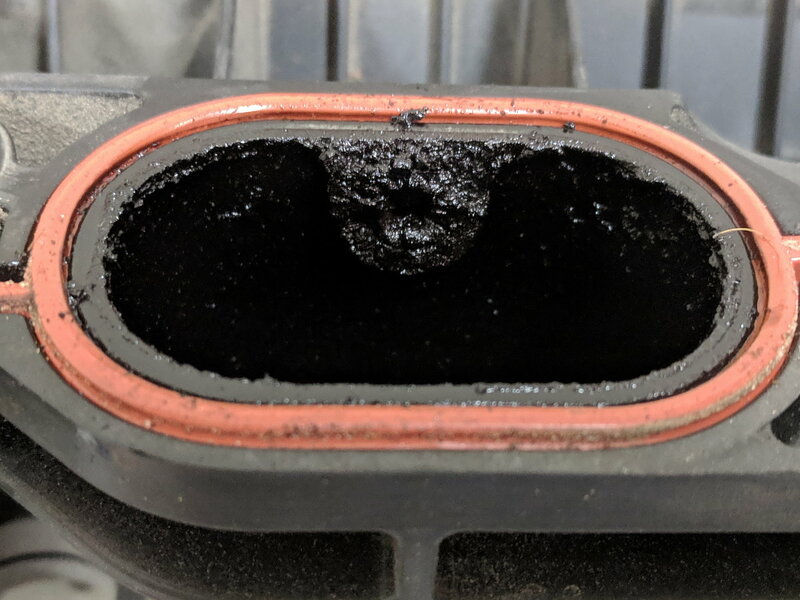 He's never seen this before (I doubt he's ever seen a high-mileage Prius where he is located), but now that he sees how this EGR is different than all other Toyotas, he says it absolutely could cause the misfire codes (issue #2 below). Codes! CEL goes off intermittently and shows cylinder #4 misfire (P0304 I think) and P219A which is an improper fuel/air mixture ratio. These two issues are covered by the same TSB from Lexus. It claims a "rough running" sound along with misfire codes could result when EGR is active if it is clogged. The resolution? Replace the intake manifold. Great. Anyway, my mechanic doesn't believe in just replacing stuff all the time. He will take the EGR system and intake manifold and clean them if possible, otherwise he has a manifold on order just in case. For those of you who clean the EGR system yourselves, he did say he uses an old speedometer cable (steel) which he uses on a power drill to get deep inside stuff for cleaning along with carburetor cleaner sprayed inside first, in case this helps any of you. Loud high-pitched squeaking from the driver's side window when it goes up (along with the glass itself vibrating as if loose but tightening up as it rolls up). This is intermittent, and happens mostly after the window was wet. May have to do with the coating Lexus puts on the driver's window. I have two rattles in the car that are still intermittent but progressively showing up more often. One is in the driver's door, high-pitched resonance with the audio system at high volume. I can usually stop it by pressing my elbow against the door firmly, until the door settles enough and it returns. 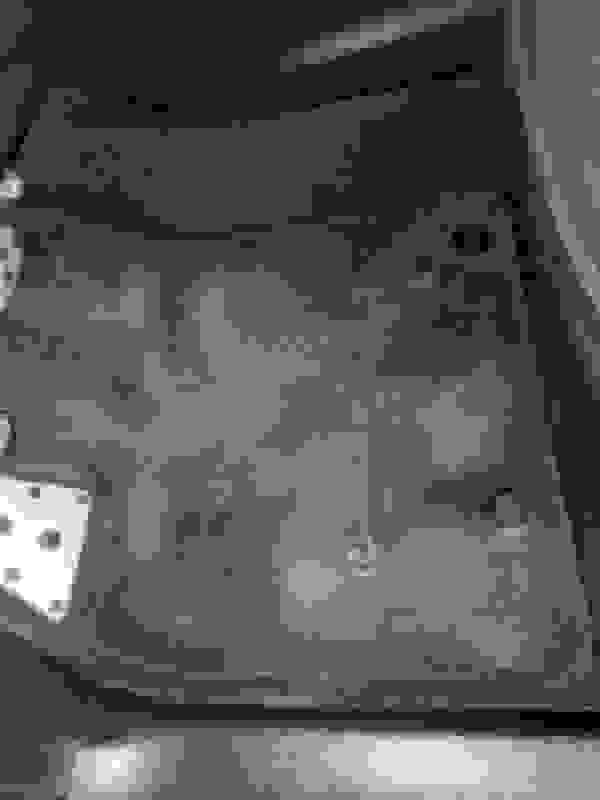 The other is from the center console, which I can alleviate by pressing my knee against it firmly. Same effect. Moonroof rattles audibly when the cover is open. This is due to a part on the right side (passenger side) that came loose long ago and moves around as you open and close the moonroof. I will have to have the dealer look at it at some point, as sometimes this piece moves into a bad spot and jams the moonroof when closing. Gas cap no longer clicks when closed, just tightens. The mechanism is probably worn after daily fill ups for 4.5 years, lol. I had it tested and it still holds pressure. Can't think of anything else at the moment. Will update with anything else I think of, plus the resolution and how it fares when all is said and done. Last edited by Raidin; 03-23-19 at 08:55 PM. Update: I have been very busy and didn't have enough time to write an update. The car was done the very next day. I was told that cleaning the intake turned out to be extremely time-consuming, and would cost far more than a new one, so I had the new one put in. 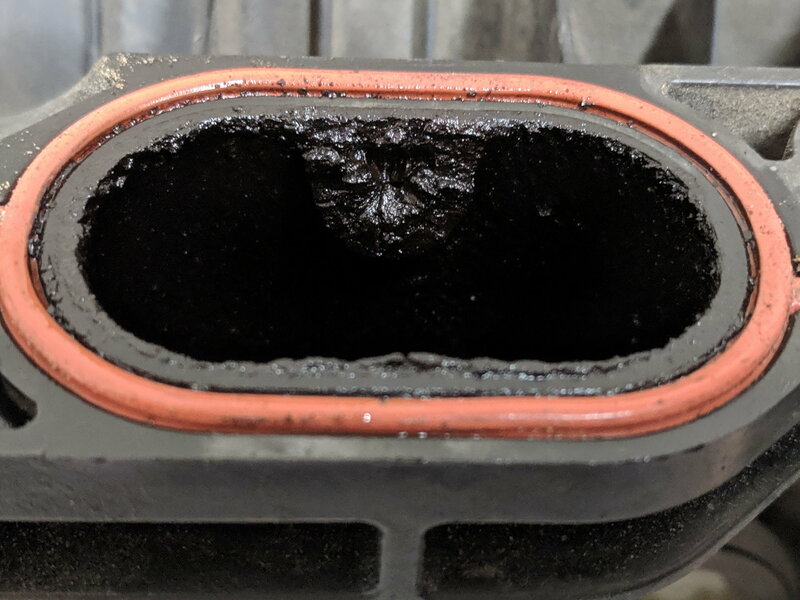 EGR valve was cleaned, but the EGR cooler was a nightmare so we left that alone until it needs to be replaced. 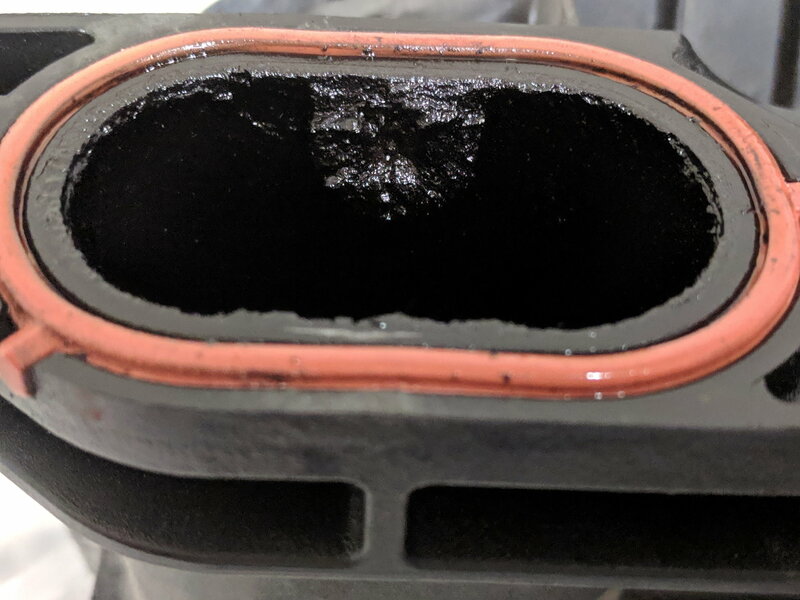 With the new intake and the EGR valve cleaned up, here's what happened: The rough running noise on low speed driving and light acceleration is flat out gone. I can even hear the intake noise when pushing the car, which I don't recall ever hearing, except maybe when the car was new? It's been 4.5 years, I can't remember. The noise almost sounds like exhaust noise, so it was definitely unusual. Also, no more CELs. At this point, my 462k mile CT is running like new again. One head gasket blown (375k), some parts replaced just for reliability's sake and some for being worn (375k), and another issue with these cars taken care of (the manifold issue above) (461k), and I'm back to normal running with zero outstanding issues. As per E46CT's inquiry on how the car looks after 462k miles, I made two quick videos showing the exterior and interior after a car wash. Also threw in a picture of the only original wheel I have on the car (in one accident where someone forced me into a concrete barrier at highway speed, I had two replaced and one repaired). The picture shows what happens to your wheels after constant tire rotations. 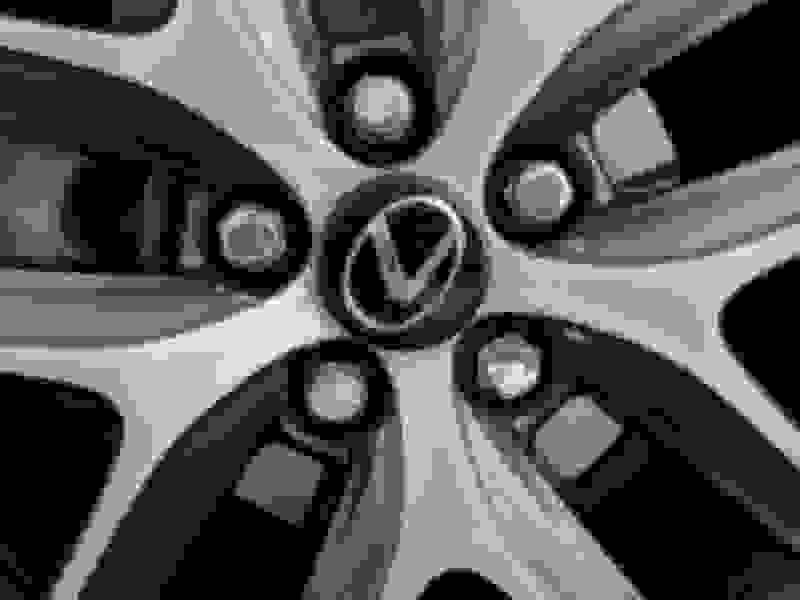 I noticed your navigation **** is a wheel. Mine is a mouse, was there an option for that? Models with factory navigation have a square controller. This car has display audio (no navigation) and includes the round wheel controller. Very nice to have a data point re the intake. Honestly i'd probably just replace the intake and EGR cooler with brand new ones when comes time... maybe 100k-150k? I can do the work myself. Glad to see and hear your car is running like new. I think with a smaller engine, things are just more bound to get plugged up with carbon and soot faster. I wonder if an occasional sea foam treatment for the intake could help things. or just good old fashioned pull the intake and clean it /soak it in carbon cleaner and reinstall with new intake gaskets. I might do this as a weekend job at some point. but i'm only at 45k.. so maybe not for a while. lol. Incredible shape for the mileage. Congrats. 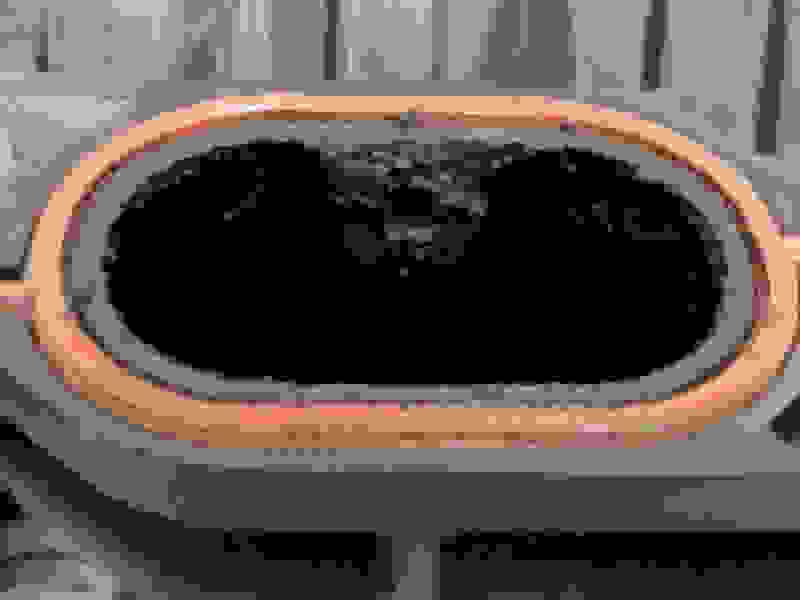 Did the repair remove any considerations about buying a new car? Glad you're keeping the CT. see how far you can go. I wonder if knowing what you know now, if this hybrid/engine combo can run longer than 400k if you keep the intake and EGR clean? I wonder if you have any theories or anything you'd do differently this time around. Still keeping the same OCIs? 400k is still impressive for any ICE-based machine. The two issues I've run into so far seem to be design flaws or bad design choices by Toyota, done because they only appear on at very high mileage, so 99% of the customers won't see them. As far as the intake goes, I would probably wait till I start hearing noise or getting CEL codes before replacing/cleaning. Just me, since I drive so much and don't have time to take my car apart for this sort of thing. As far as the head gasket, I'm not sure what I can do to prevent it, if there's anything at all. If I notice more than normal violent engine vibrations on cold starts, I plan to have the engine checked for coolant or oil leaking into the cylinders again, and see if I can't stop the head gasket from blowing somehow. Obviously these could be any generation, but it does seem like they see all sorts of issues, and well before 300k it seems. At this point I'm not sure what else I'll run into...I'm worried about the transmission, but honestly isn't not that expensive to replace. I think I will be fine if I address these issues early now that I know what to look for, and look forward to keeping this CT alive as long as I can even though all sorts of cool cars and trucks are on the horizon. Last edited by Raidin; 03-26-19 at 05:08 PM. Wow you take great care of your ride. It looks phenominal. Most impressive is the minimal damage to the front end (is this a city car? 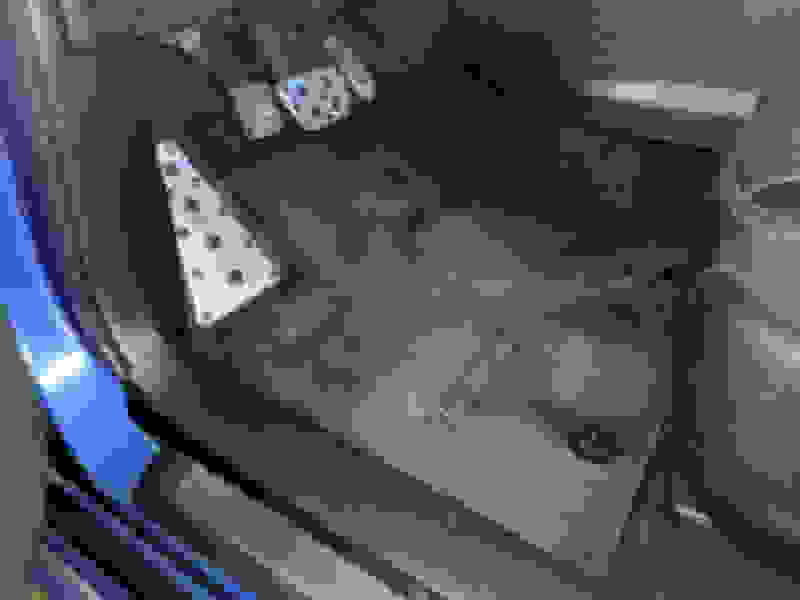 ), the minimal wear on the driver bolsters, steering wheel, and arm rest. The carpet is also something else. Great job! 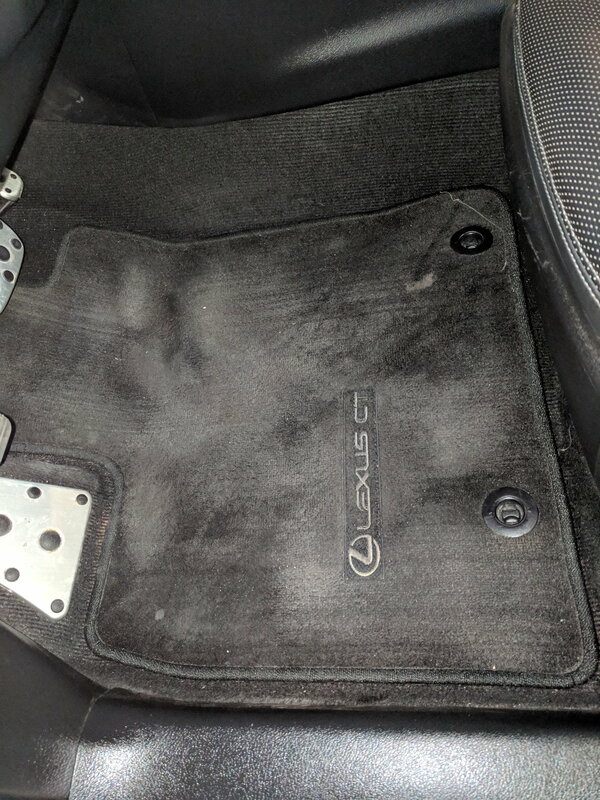 Since I ordered the car with keeping it as long as possible in mind, I did what I could to keep it as wear-free as possible. I try to sit in the seat quickly and not rub against the bolster much. I keep my steering wheel clean and my hands as well and try not to rub the wheel too much when turning or moving my hands. I rarely use the arm rest to rest my arm. The front end is protected by paint protection film, so that helps it look new. I've had minor hits with debris and wrecks (bumper was never replaced if I recall correctly), and had to replace the grill and L emblem once, both fenders, and I think one headlight. Hood is also still factory. To answer your question, it is now driven 10% on city streets, 90% is highway. Before that, same route, just more like 25% city, 75% highway.